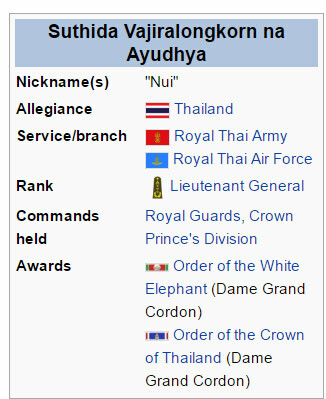 Lieutenant General Suthida Vajiralongkorn na Ayudhya (Thai: สุทิดา วชิราลงกรณ์ ณ อยุธยา; rtgs: Suthida Wachiralongkon na Ayutthaya) is a Thai military officer, currently Commander of the household guard of Crown Prince Maha Vajiralongkorn, holding the rank of Lieutenant General. 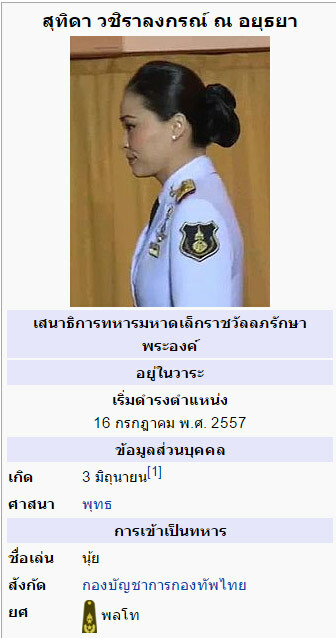 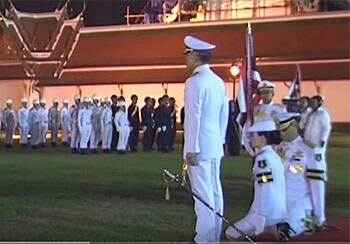 Formerly a flight attendant with Thai Airways, she was appointed commander of the Crown Prince's guard in August 2014. 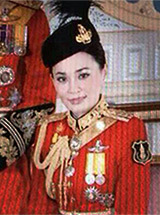 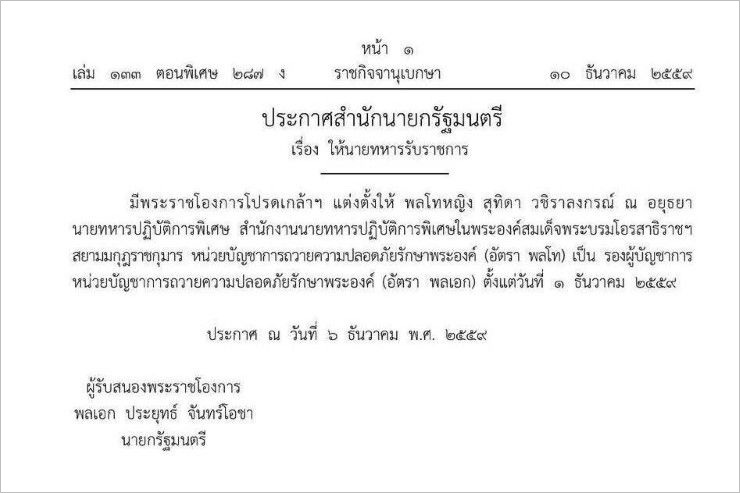 Several reports, following the Crown Prince's divorce of Srirasmi Suwadee, have linked her romantically to the Crown Prince, that she lives in Munich.